The Government provides funding to schools the 'Primary PE and Sport Premium' (PPSP). From September 2017 this funding doubled. At Sidemoor this means we will receive £16,000 and an additional payment of £10 per pupil. This totals £18,930. Most schools with primary-age pupils receive the PPSP funding. We are eliglible as a local authority school. Schools must spend the funding on making additional and sustainable improvements to the quality of PE and sport on offer. Schools will be held to account over how they spend their additional, ring-fenced funding. Ofsted will inspect PE provision. Schools are required to include details of their provision of PE and sport on their website, alongside details of their broader curriculum, so that parents can compare sports provision between schools, both within and beyond the school day. To broaden the sporting opportunities and experiences available to all pupils. To widen our pupil's participation at competition and sports festivals. To increase quality in the delivery of PE lessons. To improve resources to support the development of PE. To extend our PE provision through employing additional sporting professionals. To improve the health and well being of our school community. To achieve our Sports Mark. At Sidemoor we provide opportunities for all pupils to be involved in PE and Sports. We encourage pupils to enjoy being physically active and develop healthy energetic lifestyles as they grow. We learn skills, how to play as a team and experience being competitive. Pupils partcpate in PE lessons, C4L clubs, breakfast and after school clubs. We compete at tournaments and attend festivals. Here is a list of just some of the sports we have enjoyed so far this year Football, Multiskills, Cricket, Tennis, Dodgeball, Tag Rugby, Yoga, Street Dance and Gymnastics.... Enjoy looking at our photographs. On Thursday 5th July 2018 Sidemoor held our Sainsbury School Games Day. All children from Reception to Year 4 took part in a range of sports, tennis, football, hockey, netball, rugby to name a few! 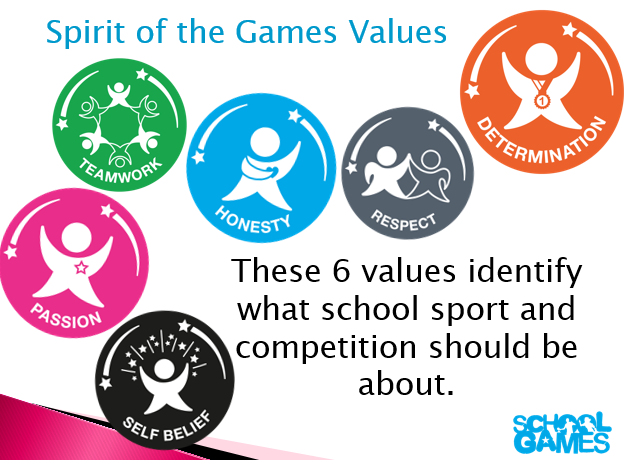 The children worked in mixed age groups and our older children were brilliant leaders and everyone demonstarted the School Games values.